Thanks to a hands-on style and “The Walking Dead”‘s success, executive producer Gale Anne Hurd has a full slate of films, TV series and comics, including a project with Frank Darabont. 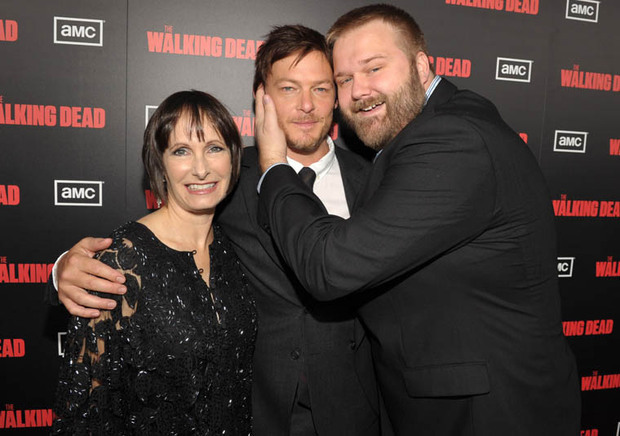 The zombie apocalypse has been very, very good to Gale Anne Hurd. With AMC’s The Walking Dead breaking cable rating records and renewed for a third season, the executive producer is now eyeing a full slate of mostly action-adventure films, TV series, and comics in the upcoming months through her production entity, Valhalla Entertainment–including a project with old pal Frank Darabont. The iconic producer of the Terminator franchise and Aliens still has her hand in films–one that’s being set up at an undisclosed studio, and another, coming-of-age Dakota Fanning drama Very Good Girls, that shoots next year. Her pirate drama Port Royal, in partnership with The Departed producer Graham King, has been set up at FX Networks, with The Shield producer Scott Rosenbaum writing the pilot. And, along with New Franchise Media, she’s developing Jeffrey Archer’s spy novel, The Eleventh Commandment, into a series. Port Royal isn’t Hurd’s first foray into pirate lore. She produced a 2008 National Geographic documentary called The Pirate’s Code, about Black Sam Bellamy and the search for his ship, the Whydah Gally, which sank off Cape Cod in 1717. Then there are the comics, which is more of an excuse for Hurd to channel her inner geek. Though in talks with other publishers, her first two projects are with Aspen Comics (“They put so much effort into all of their titles,” she says). 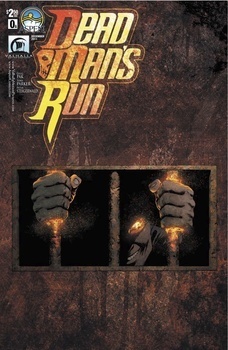 The sixth issue of The Scourge–about a global pandemic, from writer Scott Lobdell and artist Eric Battle–arrives in the next couple of months, while Dead Man’s Run, about a jailbreak from hell, from writer Greg Pak, artist Tony Parker, and colorist Peter Steigerwald, debuted last October at New York Comic Con and returns in January.